Let’s say you need to move to a new city and don’t have the money to just buy a whole new home while owning your current one. You probably need to sell your home for financial reasons before you buy a new one. The problem: you have no idea how long it will take to sell your current home. It complicates your ability to move and to figure out your next housing situation. Wouldn’t it be nice to sell your home instantly? It’s a problem as old as homeownership itself: you want out but you are at the mercy of the market. How fast can you sell, and if you sell faster, do you leave money on the table by lowering the price? Or, do you stick it out for the value you think you deserve? This pain point is what a whole crop of startups have seized on solving: how to sell a home instantly? In the last decade, many consumer buying experiences have been transformed. For example, its easier to buy and sell cars now, with more transparency into pricing. But homes have always been in a different category because, well, they are so very expensive. Until now. Opendoor, Offerpad, Knock, and Zillow Offers are all companies that have cropped up in the last five years to “sell your home instantly!”. It sounds too good to be true, doesn’t it? But, these companies have raised tens of millions, to more than a billion dollars, so they likely are here to stay for a while. If you wanted to sell your home to a a company like these, referred to as “iBuyers”, you would submit information about your home to the company, then the company researches comparable home sales and tax records, and presents you with an offer that includes the amount that they will pay you for your home, along with all fees they will charge you. In the case of Opendoor, Offerpad and Zillow Offers, if you accept their offer, they will begin the process to buy your home which can take as little as three days according to their web sites. With Knock, they offer a “home trade-in platform” where they will make an all cash offer for a new home that you choose, manage any needed repairs, and then buy your current home from you. What types of homes do iBuyers buy? These companies have narrowed their focus to theoretically produce more accurate calculations on home value. They each have ranges of home values that they will make an offer for, and also have particular geographic areas they will make offers in. Here’s a breakdown of where each operates and what range of valuations the homes they will make offers on have. Opendoor buys homes only in Phoenix, Dallas-Ft. Worth, Las Vegas, Atlanta, Orlando, Raleigh, Charlotte, SanAntonio, Nashville, Tampa, Minneapolis, Houston, Sacramento, Riverside, Denver, Portland, and Austin, and buys homes that have a value of between $100,000 and $500,000 that were built after 1960. Offerpad buys homes only in Atlanta, Charlotte, Las Vegas, Los Angeles, Orlando, Phoenix, Tampa, Salt Lake City, and Dallas-Fort Worth, and buys homes with a value under $600,000 that are built after 1960. 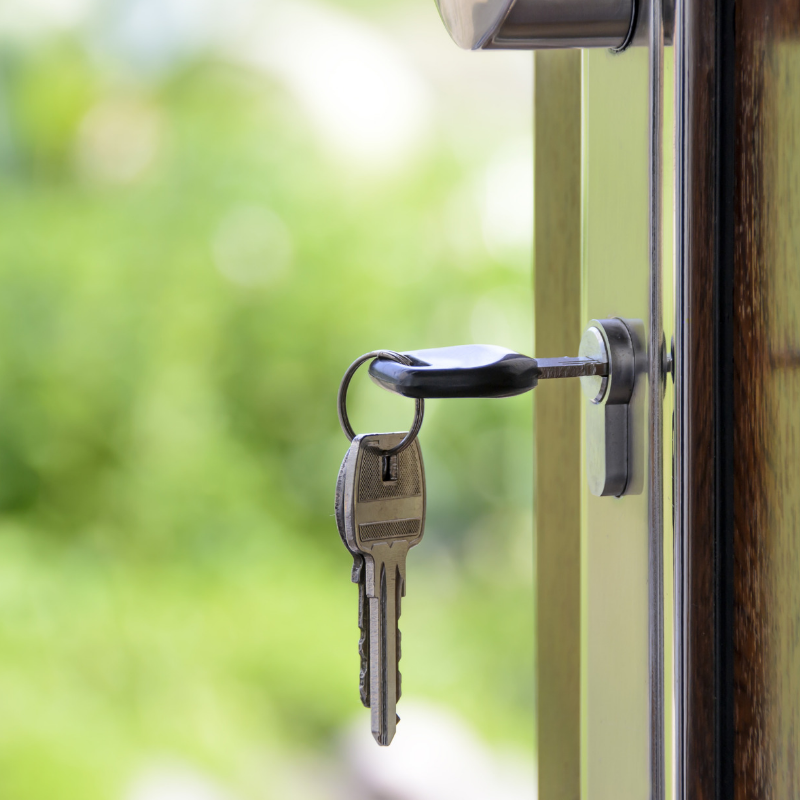 Knock buys homes that are $150,000 or greater, and operate in Atlanta, Charlotte and Raleigh, NC. Zillow Offers appears to be only operating in Phoenix, Las Vegas and Orlando right now and does not offer information on the types of homes it purchases. How much money do you get from an iBuyer compared with a traditional home sale? It’s hard to know if you’ll get a higher price for your home selling it the traditional way instead of with an iBuyer because the iBuyers don’t publish any data on how far off their offer price is from a traditional real estate appraisal. But there is some anecdotal evidence to suggest that for Opendoor, the amount people are offered is 5-10% lower than a traditional appraisal. Another source found that Offerpad, Knock and Opendoor offered between 13% to 47% less money than the homes appraised at with a traditional home appraisal. What sorts of fees do they charge? Opendoor says that it has an average fee of 6.2% of the price they give you for your home, but that the fee can range from 6-12%. Offerpad states that their average fee is 7% but that it can range from 6-10%. Knock states that it charges a 6% fee. If I want to explore selling my home with an iBuyer, how should I go about it? First, you will want to figure out what your home is actually worth, independent of the iBuyer. That way, you’ll be able to gauge whether the offer you are getting from an iBuyer is fair. You can pay for a real estate appraisal, which runs about $300 to $500, or, you can do your own assessment. Second, since the companies say that they will give you an offer quickly, make sure that you get an offer from more than one company. Why not? Since they seem to make it simple, it makes extra good sense to shop around. From each company, find out 1) how much money they will give you for your home and 2) how much in fees you will pay. Third, once you know the value of your home and what an iBuyer will give you for it, consult with a few top real estate agents in your area who really know your market. Get their advice on what they might price your home at if you were to sell it with them, how they came up with that value, and how long homes like yours are taking to sell. Also, find out what their fees are to sell your home (typically it is about 5%). Fourth, using the information that you’ve collected, make a judgement on whether selling fast is worth the amount of money you may leave on the table by using a traditional real estate broker. If you follow this process, you will be informed about the money that you might get, plus the trade offs that you are making with your final decision. Are people selling their homes to iBuyers having good experiences? If you look at sites that post reviews of Opendoor, it seems that there are some happy customers who are enthusiastic about their experience, some customers who feel like the offer was too low that they received and some who report that Opendoor came to their home post-offer to physically inspect the home and deducted more money from the value due to issues they deemed needed fixing, that was unfair. On the Better Business Bureau site, for Opendoor, there are complaints of disorganization, complaints that the inspectors that Opendoor uses are their own and therefore biased, and also that they are not responsive and that it’s hard to get ahold of an actual person. For reviews on Offerpad at the Better Business Bureau, you’ll find a report of deducting money from the value of the home for repairs that are then not made, and on being charged to exit a contract. Offerpad is younger than Opendoor and we found less available reviews. It was hard to find reviews for Knock and Zillow Offers, probably also due to the newness of the services. Both launched their major products only this year. It may be an excellent choice to use an iBuyer for those who are in a distressed situation, such as an impending foreclosure situation or an emergency situation where you need to sell truly ASAP, or for those who simply don’t want to deal with the hassle of a home sale the traditional way. Like with any major decision, make sure you read the fine print, understand the process, and most of all, figure out how much money you’ll be leaving on the table if you decide to sell with an iBuyer.